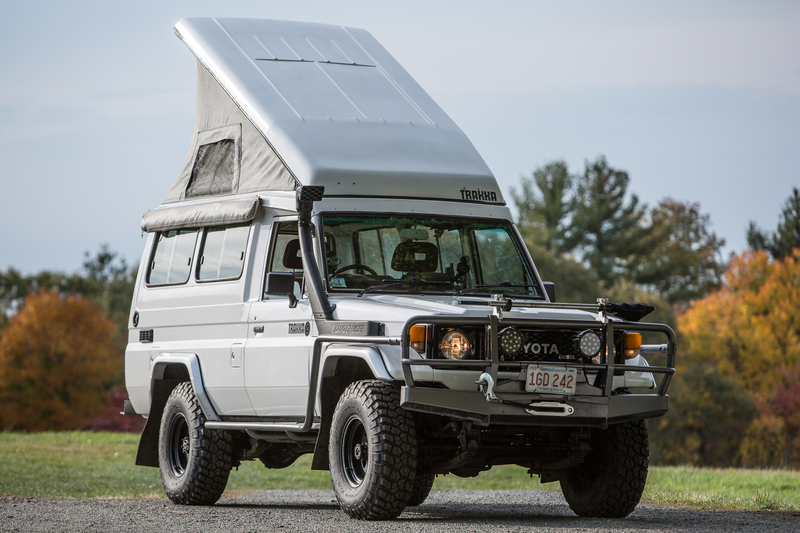 There is no denying the fact that I have a serious passion for vintage Toyota Land Cruisers. 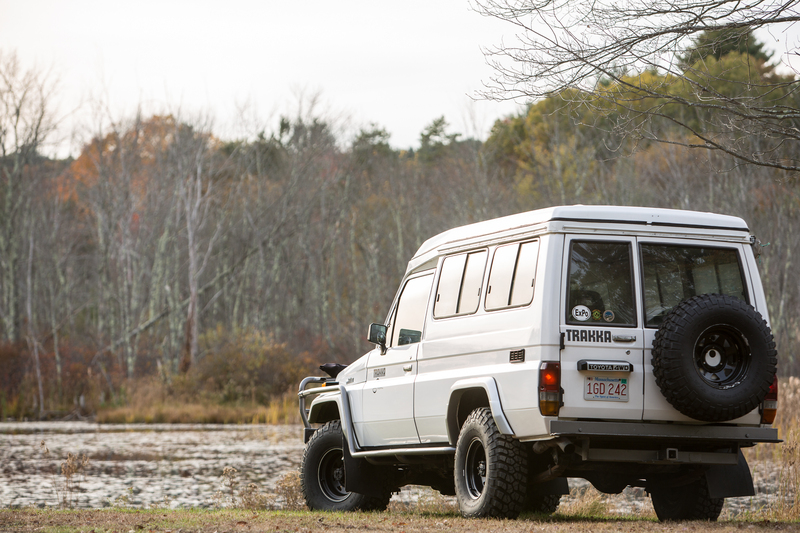 I bought my first one in 2003, a 1987 FJ60 Wagon, and have owned vintage Land Cruisers ever since. In my opinion, they exude utility, simplicity, and reliability. It is these three fundamental characteristics that appeal most to my emotions. 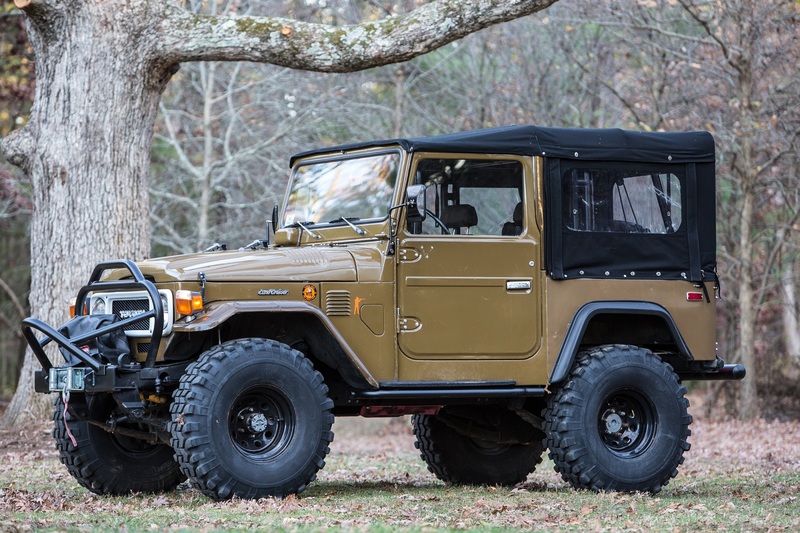 In 2009 I purchased my third one, a 1980 FJ40 in near-mint condition. 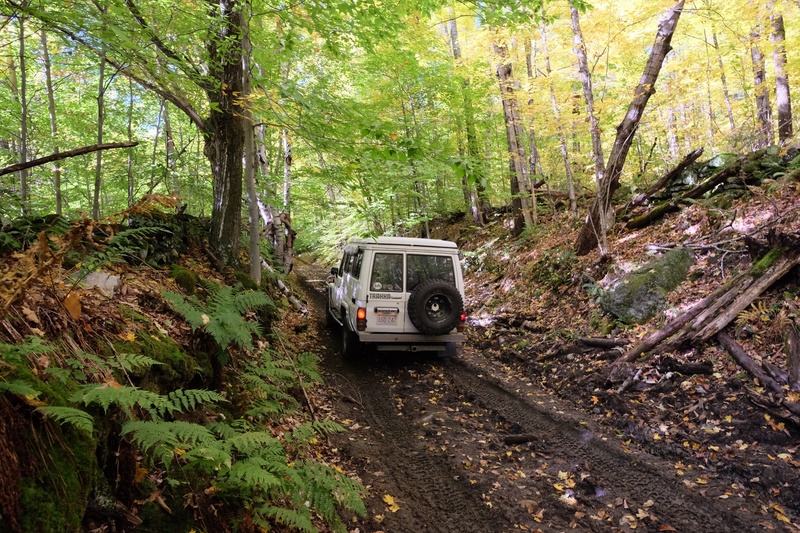 After spending years off-roading in the New England area in FJ60s, I realized the F40 was better suited for our narrow, tree-laden trails. 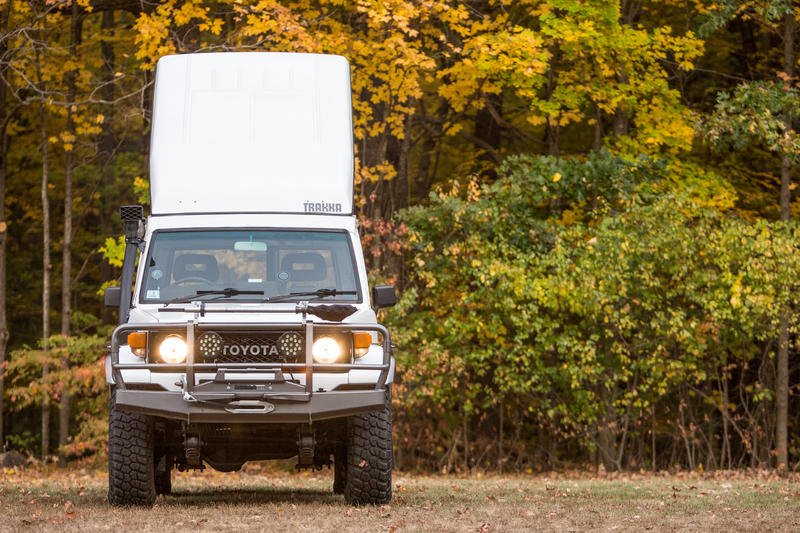 During the fair weather months, I would almost exclusively drive my FJ40. I completely fell in love, and was convinced it would be with me for years to come. In fact, for a while I considered it a potential heirloom item for my children! Its funny how one’s perspective on life can change after having a few kids, starting a new career, and building a house. My once insatiable desire to find the most challenging trails to test my off-roading prowess shifted to a desire to explore new places off the beaten path and travel greater distances. 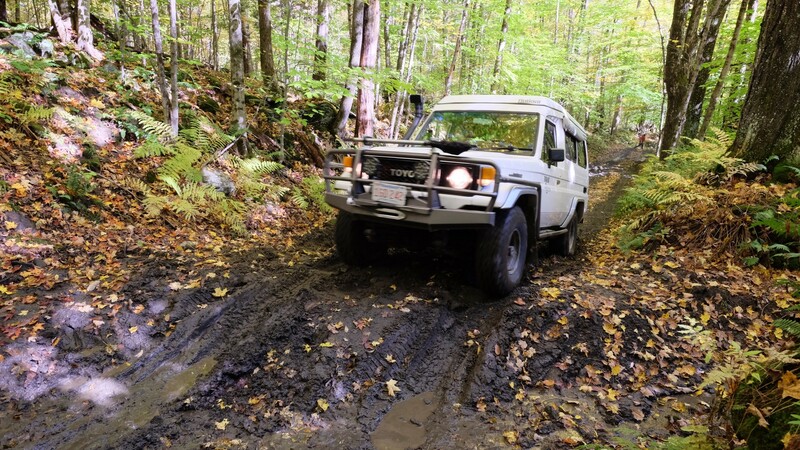 My FJ40 was ideal for difficult and challenging New England trails, but not well suited for long distance, multi-day travel with children and dogs. 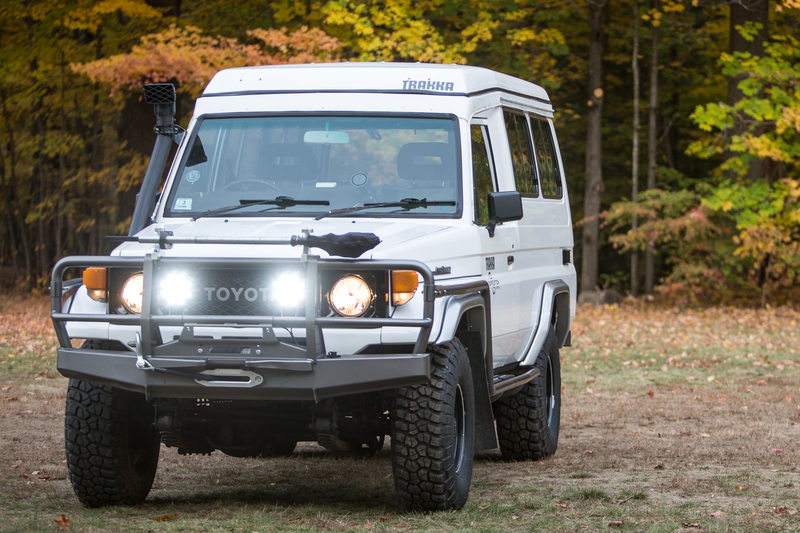 I found myself having dreadful thoughts of selling my beloved FJ40 and replacing it with another FJ60. These thoughts actually kept me up at night. 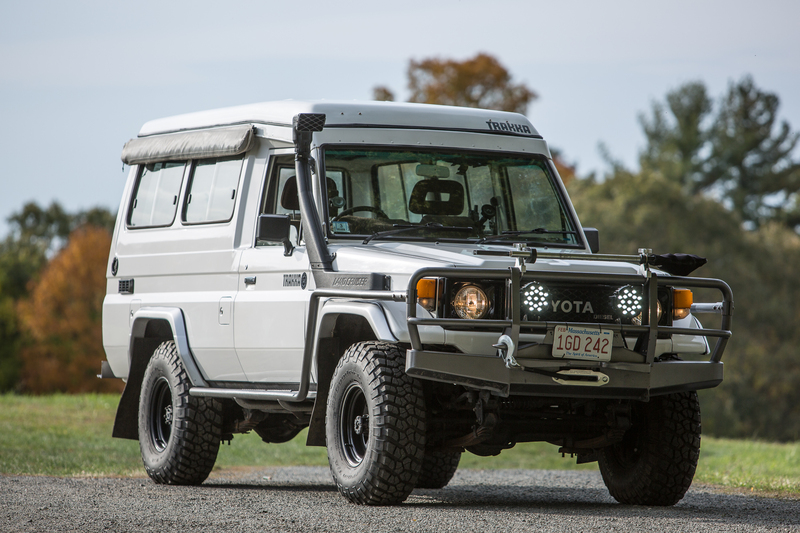 After months of emotional turmoil and a few visits to my Land Cruiser psychotherapist, I decided it was time to sell the FJ40 and replace it with a vehicle better suited for my needs. 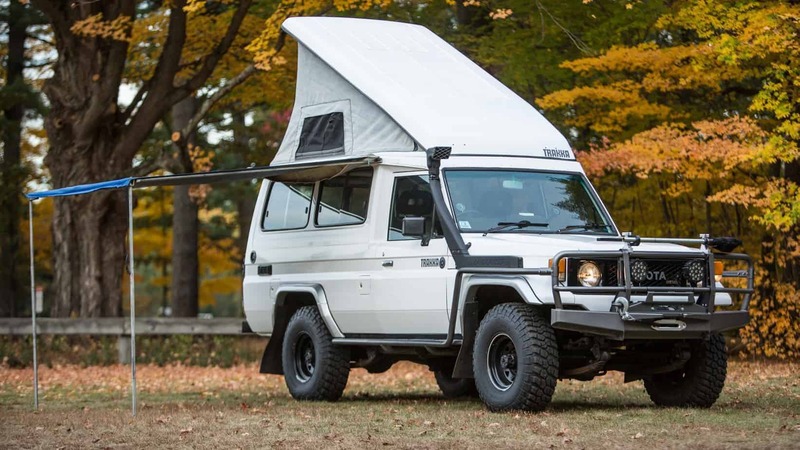 But did I want another FJ60? That was the question constantly on my mind. 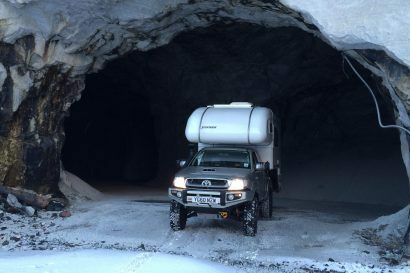 One winter evening in 2014, I came across an HJ75 for sale in the US and immediately knew that was going to be my next vehicle. I absolutely loved the angular lines, the flat fenders, and unique rear sliding windows. 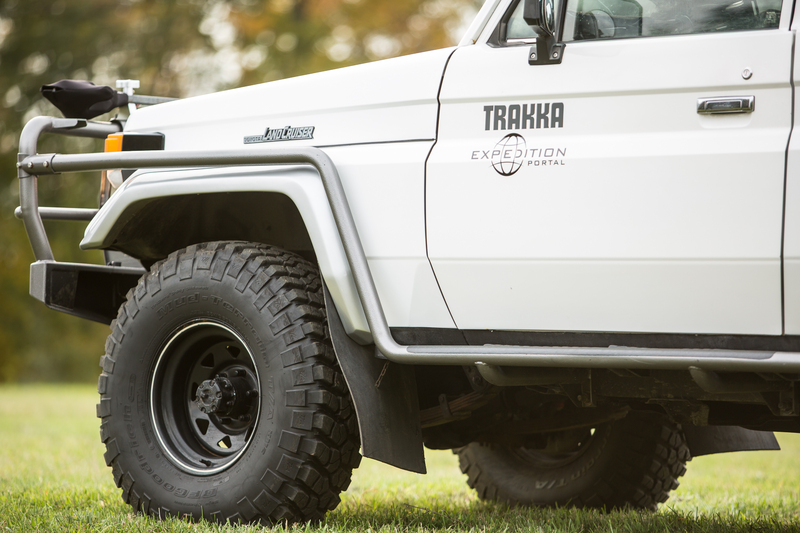 The search for the perfect 75 series Land Cruiser was on! 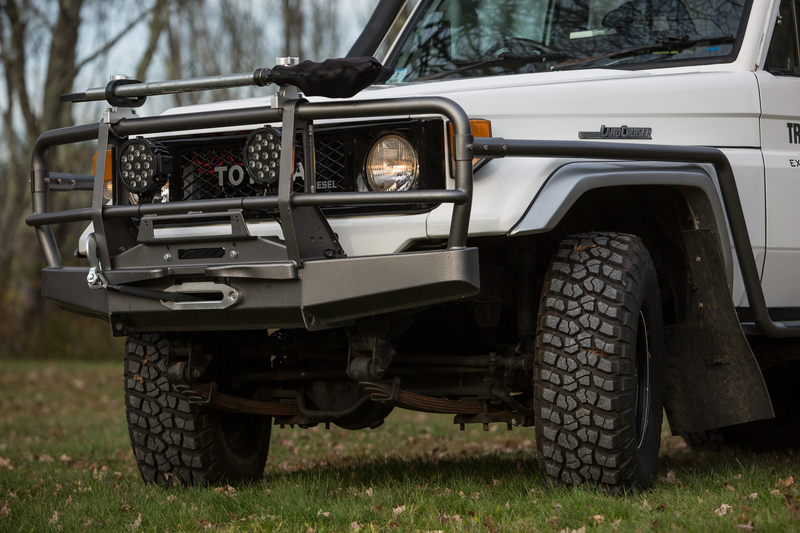 Toyota first released the 75 series Land Cruiser in 1985 in the Australian and African markets, and produced them through 1999. They were built to be a workhorse vehicle for farmers and miners alike. 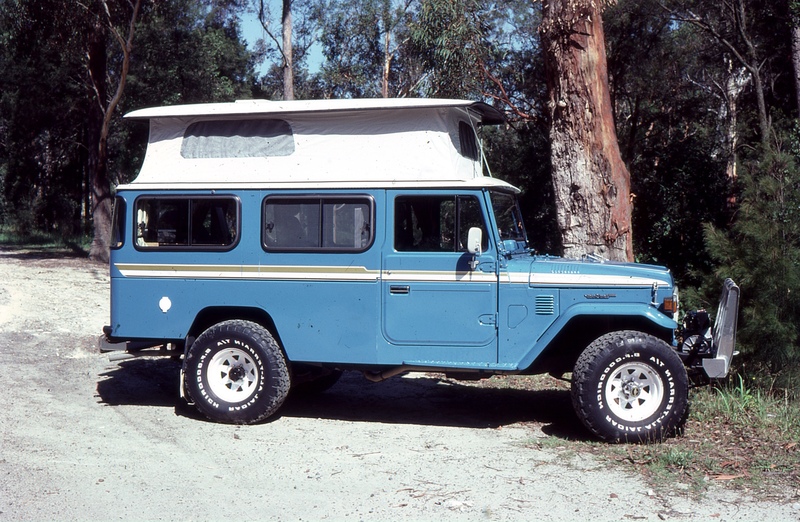 Based on their size, function, and reliability, it was also quite natural that overlanders would be drawn to the platform as well. 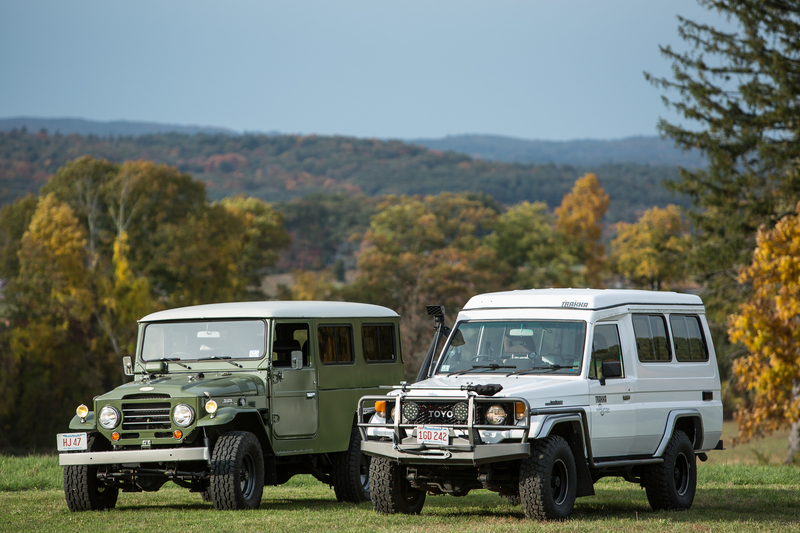 The 75 Series were offered in two configurations. 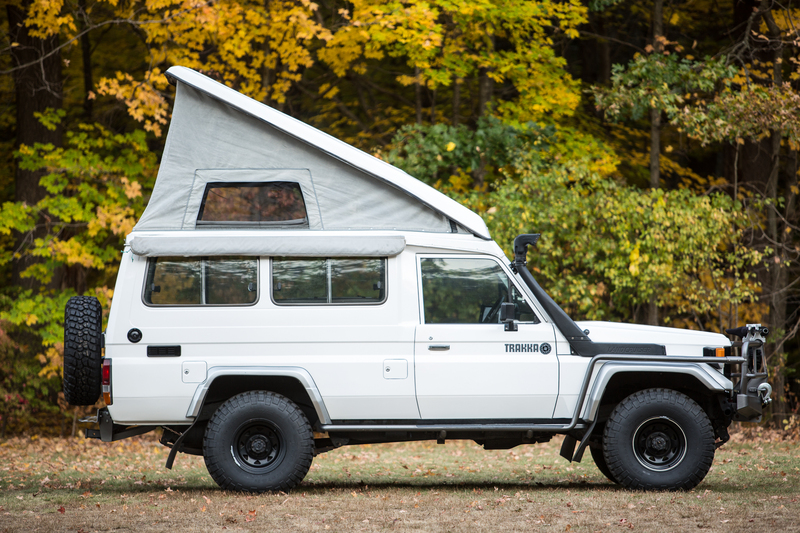 One option (as shown here) was the “troop carrier” configuration, which has two front doors, two rear doors, and seating for up to 11 people. 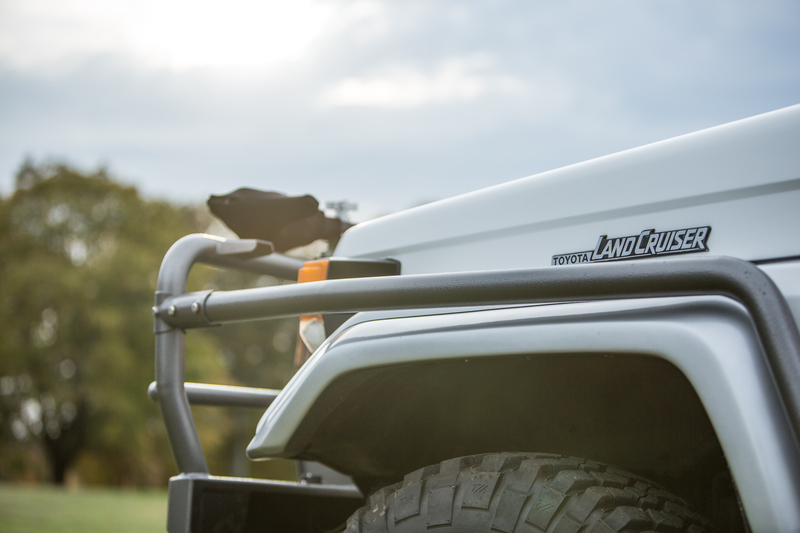 The other configuration offered was the “ute,” which is basically a single cab pickup. Some of these “ute” style 75 Series came with traditional pickup beds, while other came with flat utility style beds or no beds at all. 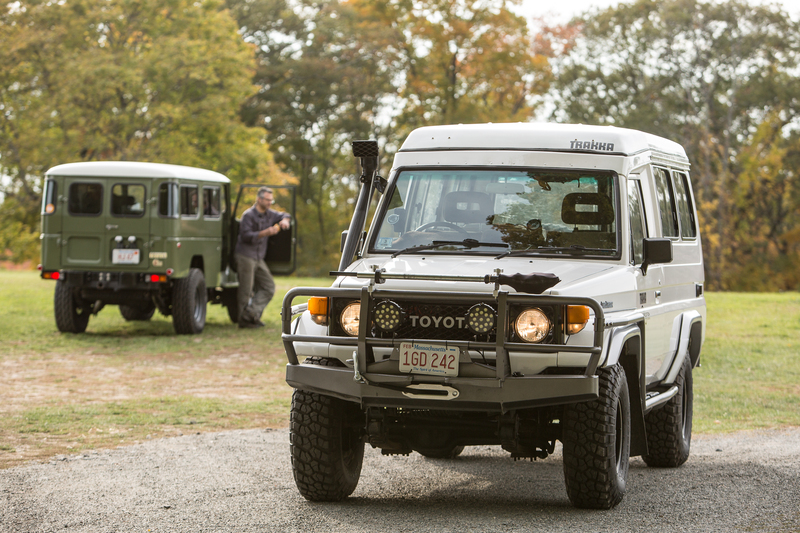 The 75 Series were mostly built with a straight six, direct-injected diesel engine. 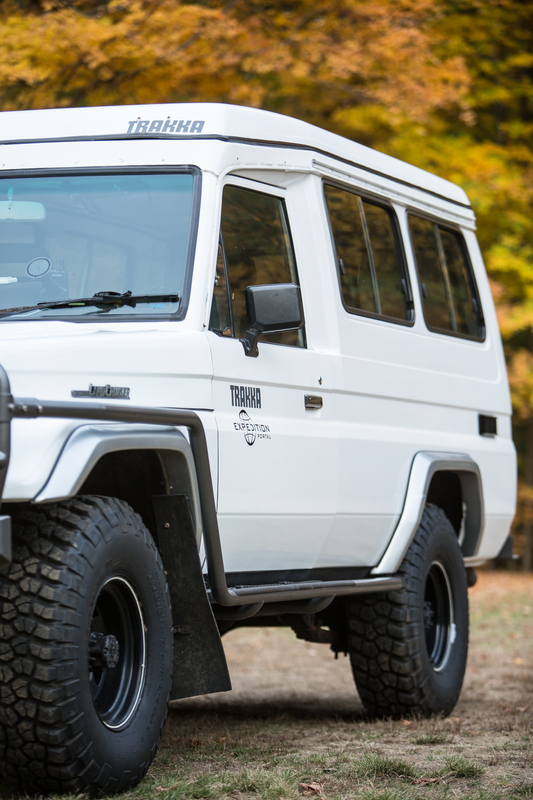 Between 1985 and 1991, most were configured with the 4.2L 2H diesel engine. It boasted a modest 107 hp but packed in 177 lb-ft of torque. In 1992 Toyota started offering the 75 Series with the 1FZ-FE petrol engine which boasted 212 hp and 275 lb-ft of torque. 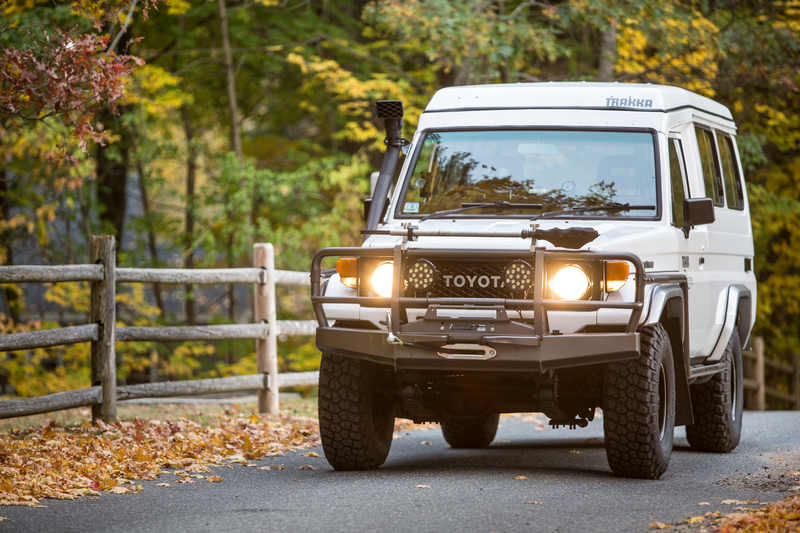 In 1995, the 75 Series received a completely redesigned diesel engine with added horsepower and torque. 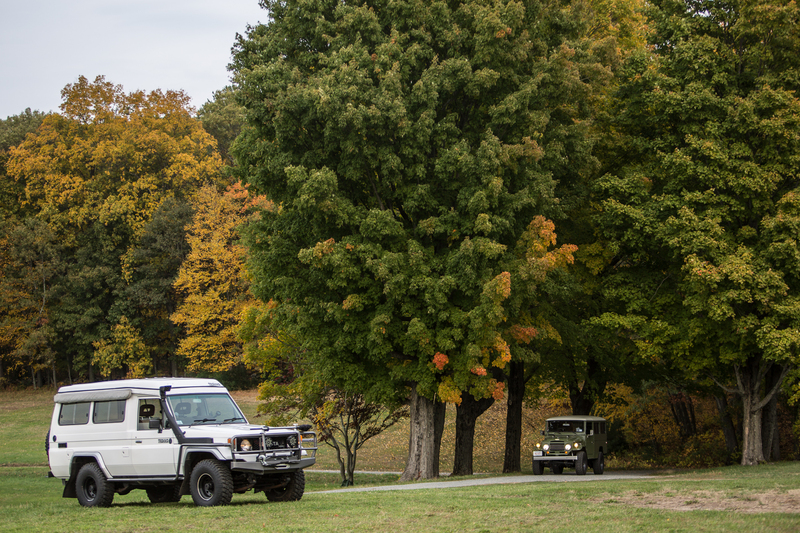 My research revealed that most of the 75 Series Land Cruisers were configured with a 5-speed transmission, full floating rear axles, and 4.11 differential gearing. 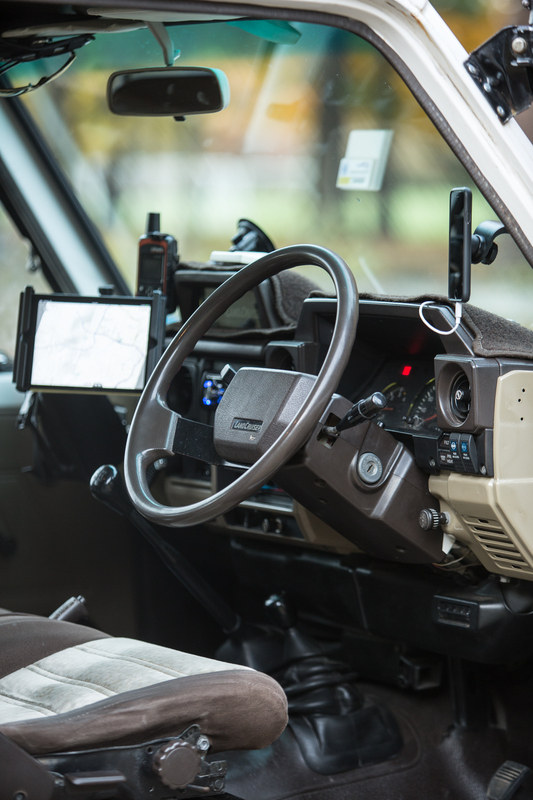 Additional options one could purchase were cable activated locking differentials, factory push bar, air conditioning, and even a second 90-liter auxiliary fuel tank. The interiors were very simpleton with basic gauges, mostly manual controls, and vinyl floor covers. 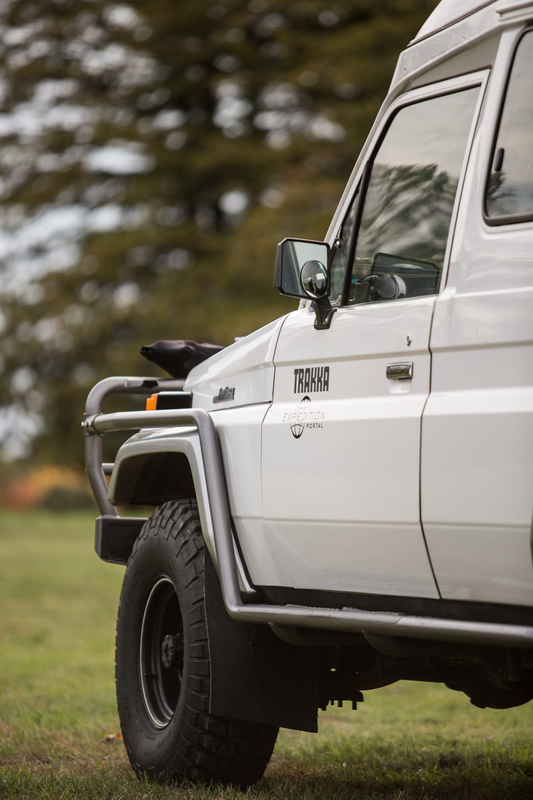 Today, these vehicles are commonly seen with over 500,000 kilometers on them and still running strong. 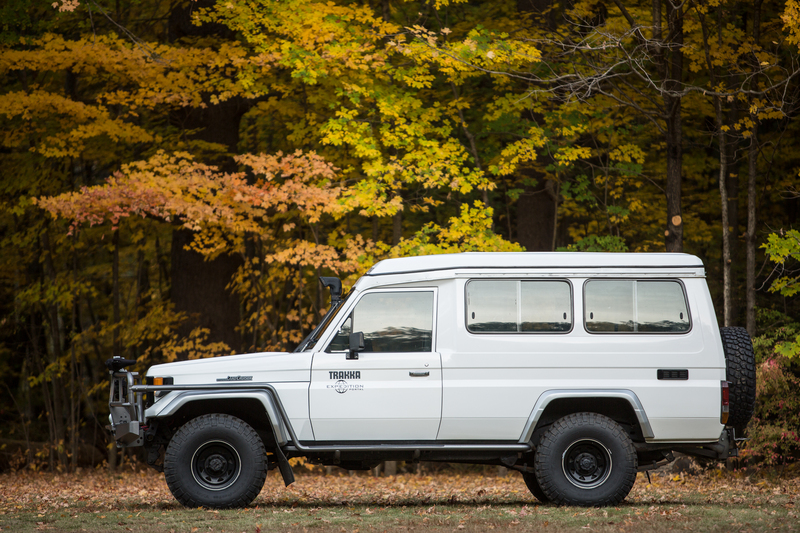 For many years, US-based Land Cruiser enthusiasts could only dream of owning a 75 Series as they were never imported to the US. However, 2010 marked the first year where some of the oldest 75 Series Cruisers were eligible for legal importation. The US does eventually permit the importation of non-US spec vehicles, however they need to be at least 25 years old. 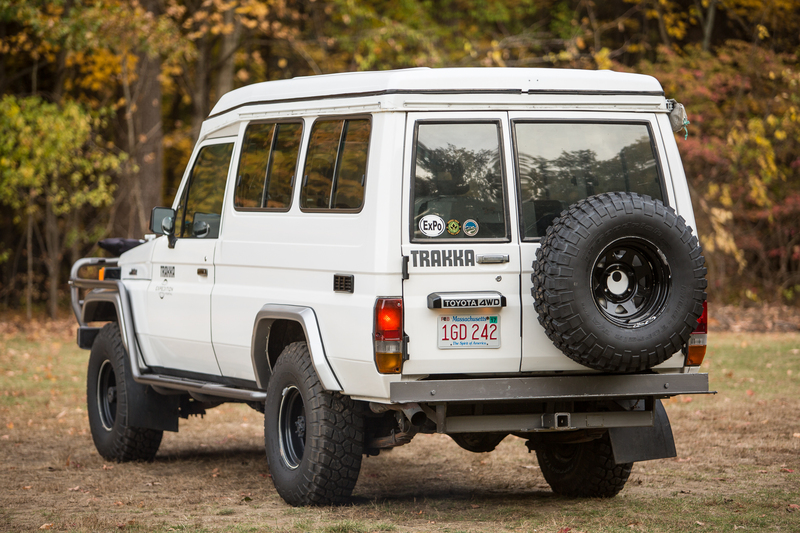 Now in 2016, we are starting to see the 75 Series (and other 7X models) trickle into the US. After a long 6-month hunt, I purchased my HJ75 in the spring of 2015 from eBay of all places. I had never in my life made a large-scale purchase from eBay, and absolutely never purchased a vehicle sight unseen. However, when this specific vehicle came up on Ebay, I knew I had to take a leap of faith and go for it. 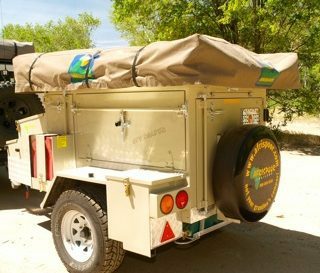 I had seen other HJ75 Troopies on eBay before, but never had I seen a Troopy with a Trakka camper top conversion. 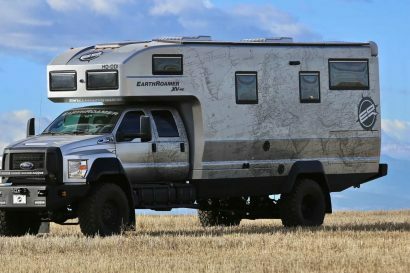 I have now come to learn that the HJ75 Trakka conversions are even rare in the Australian market. 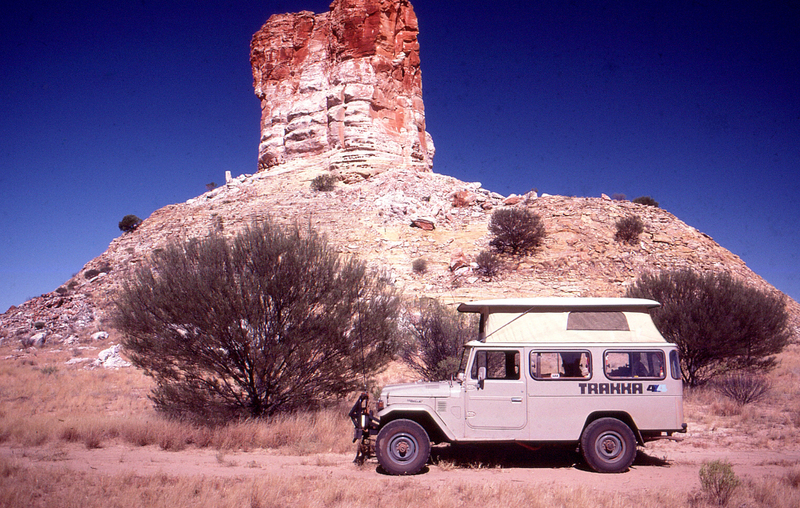 A quick history on Trakka: Dave Berry and his wife, Sally, started Trakka in 1973. 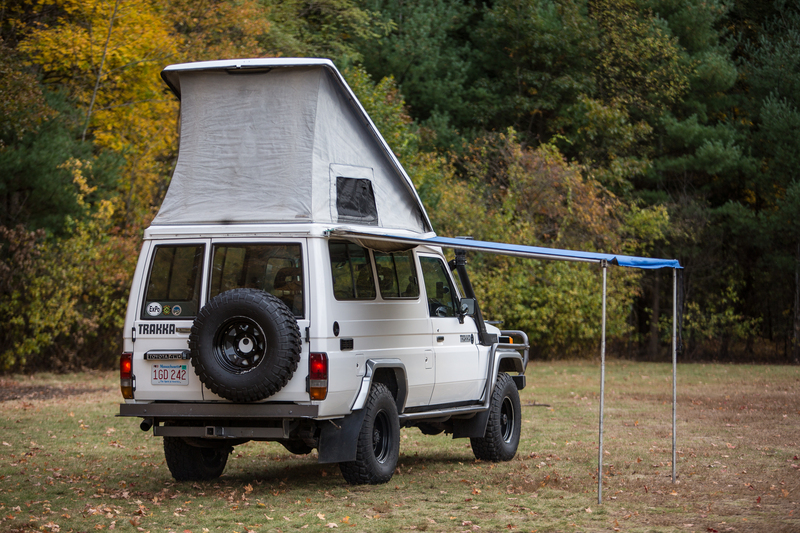 Dave had a passion for Kombi-style campers and used them as inspiration to build his first pop-top style camper. 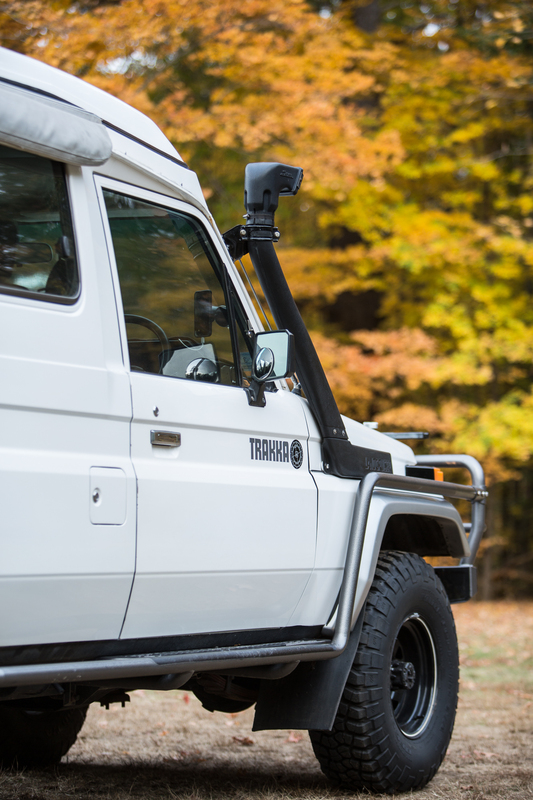 In the 1980’s, Trakka started building campers conversions on the Toyota Land Cruiser platform, specifically for traveling through the Outback of Australia. 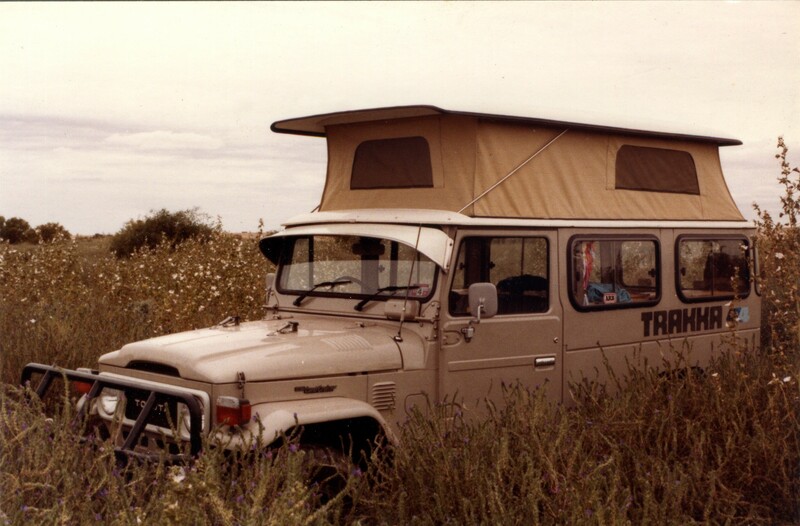 In 1987, Dave and friend used an HJ75 Troopy, nearly identical to mine, to race in the famous Australian Safari from Sydney to Darwin. 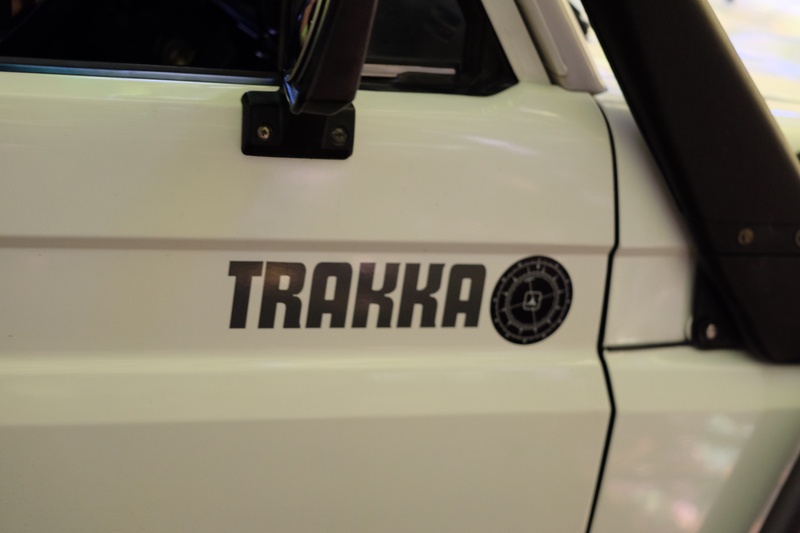 Trakka still builds high-end camper conversions today, with their main focus on the Mercedes Sprinter, VW, and Fiat platforms. When I finally met the truck hauler here in Massachusetts one early morning in April, I felt like a kid on Christmas Day. Upon first inspection, my Troopy was in better condition than I could have hoped. 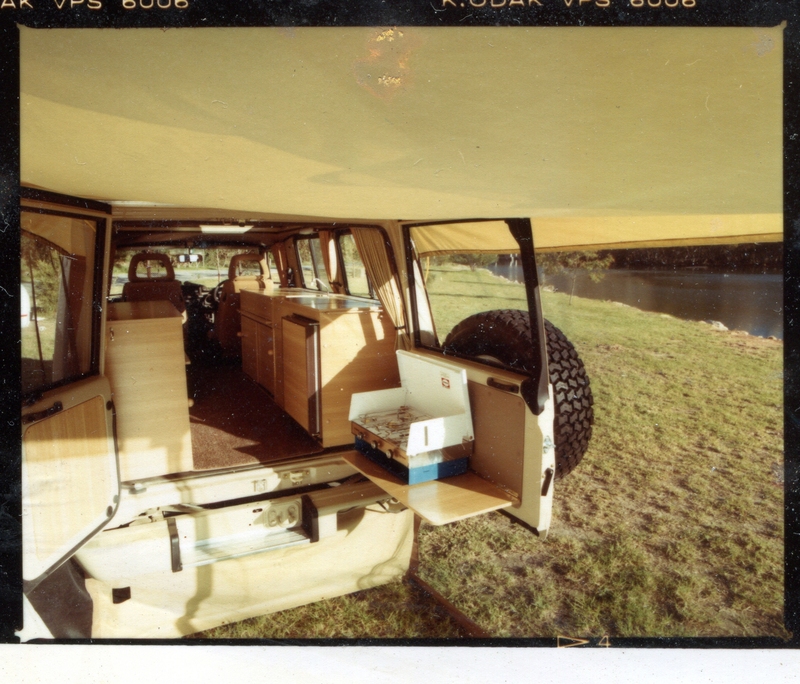 The frame was perfect and straight, the paint (thought obviously not original) was in great condition, the fiberglass camper top was straight and crack free, and the interior was nearly perfect. I was a truly a happy camper. For the next few weeks I drove my HJ75 daily so I could get acquainted with it and work out all the little bugs I was certain to find. 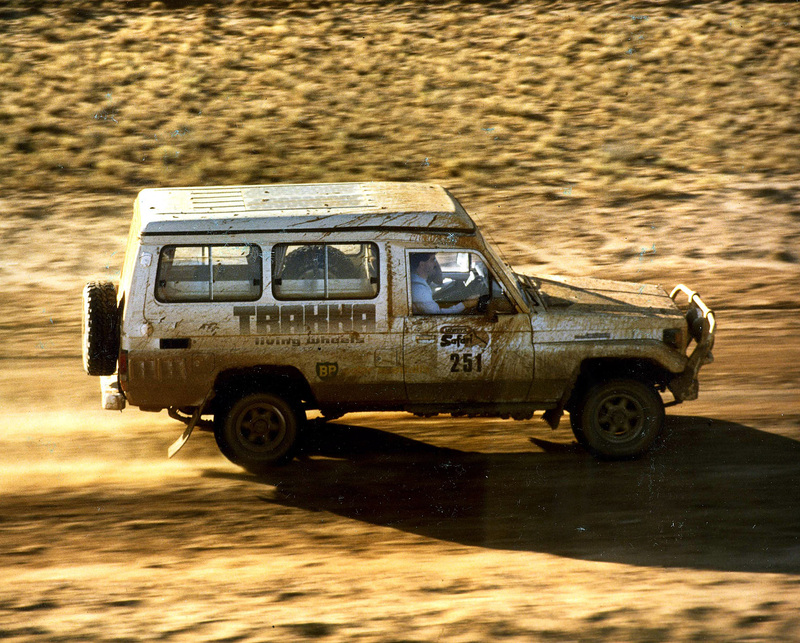 My Troopy was in beautiful shape, but with nearly 450,000 kilometers I was prepared to encounter some mechanical issues at some point. Sure enough, three weeks into owning my Troopy, it developed a rough idle. I did the usual things that one might do to alleviate the problem in a diesel engine. I changed the fuel filter, inspected all the injectors, and put new glow plugs in with no luck. The next day, the idle roughness continued to get worse, but now it was billowing white smoke from the tail pipe. I knew right away this was a very bad sign. After further inspection and a trip to a mechanic friend in Vermont, we discovered the head gasket had blown and cracked the head in five places. My Troopy spent the next three months sitting in his garage while we sourced parts. 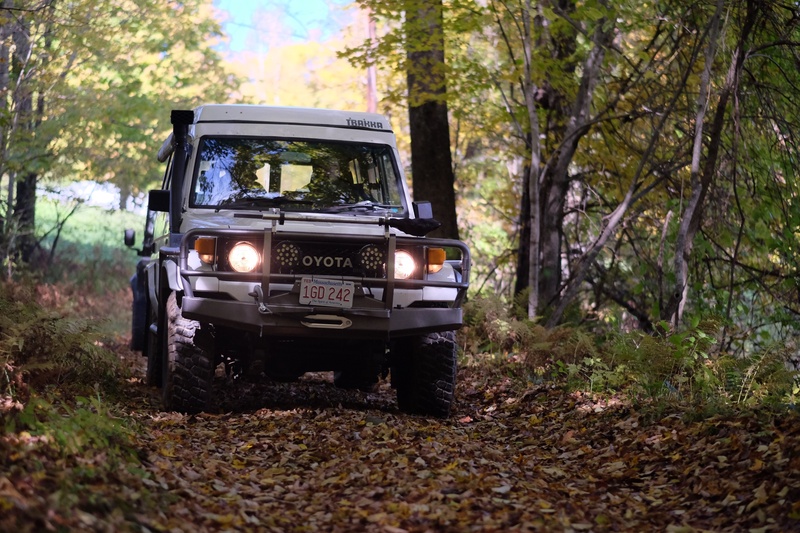 We found an “new-old stock” factory Toyota head from a local outfitter in New Hampshire, sourced gaskets from Australia, and got it back on the road just in time for the long 2,000- mile journey down to Overland Expo East. As of November 1, I have put over 4,000 miles on it with almost no issue. In fact, my daily driver, a 2007 Toyota Tacoma, has pretty much sat in the driveway as the Troopy is significantly more enjoyable to drive. As are most vehicles from Australia, my Troopy is right-hand drive which ads another level of uniqueness and excitement. I am constantly stopped and asked if driving from the right side is difficult. I have found driving from the right easy to become acquainted with, and frankly, its fun to watch people’s reactions when I go through the drive-through window in reverse! The only issue I have found is passing on a single-lane highway. It helps if you have a passenger sitting on the left, but you must have strong faith in their judgment! My HJ75 is outfitted very nicely at the moment, but I do have grand plans for it in the future. This winter I will outfit the interior with two rear forward facing seats (for my kids) and add slide-out drawer storage and a slide-out tray for my refrigerator. I am also working with a local fabric shop to replace the canvas on the pop-top with a thicker and more weather-resistant material. Eventually, the 2H engine will be replaced with the more modern and powerful 1HD-T. So, where will my HJ75 take me? 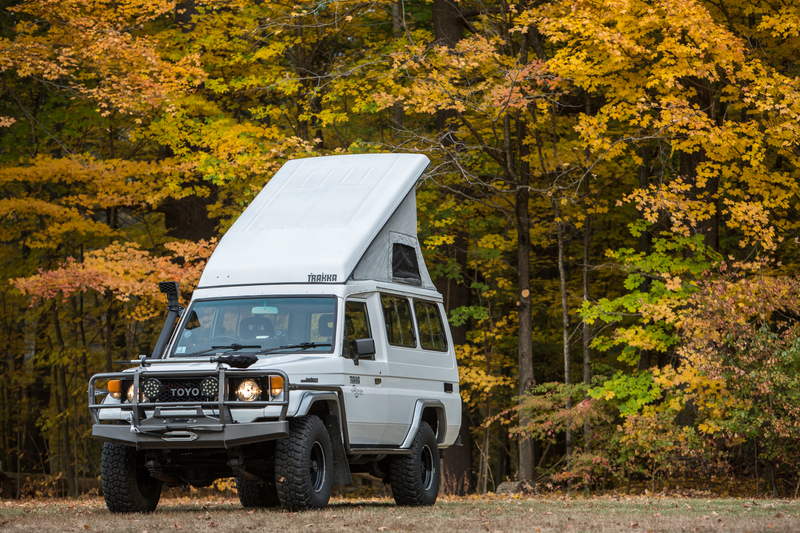 Aside from my usual adventures in the New England area, in 2016 my HJ75 will take me to Overland Expo West, up to Newfoundland and back, and then on an extended New England trip with the Mountain State Overland folks. More extended plans include a cross-country trip with my son, and a multi-month trip to South America. Jonathan Rutherford is a Boston based photographer and adventurist with a passion for adventure-lifestyle and portrait photography. Rutherford lives his life in close accord with the natural world where he finds endless sources for inspiration. “Wanderlust is what drives my photography. I have an insatiable appetite for discovering new environments and meeting interesting and inspiring people.” When Rutherford is not on assignment, he can be found flying small airplanes around the Northeast and spending time on his greatest adventure, fatherhood.